Sometimes necessity is the mother of invention. And sometimes badassery reveals itself early. Maria Rose Belding was 14 years old and helping out in her church’s food pantry when a massive donation of macaroni and cheese came in. It was more than her little Iowa hometown could use, so it sat on the shelves while the folks at the food pantry tried to find it a home. But because there wasn’t a system in place to reach out to other organizations, efforts to place the donation failed. Months later, Belding, fighting angry tears, had to throw out hundreds of expired boxes—even as all over the United States, people waited in line for food. “There was nothing that really allowed us to communicate in an efficient way,” Belding, now a college student at American University, remembered to CNN. “The Internet was right in front of us!” But instead of shedding more tears over a problem United States Department of Agriculture stats have highlighted in troubling clarity—more than 40 million Americans regularly don’t have enough to eat, even as up to 40% of the country’s food supply is wasted—Belding took action. In high school, she came up with an idea for an online database that could address the very food availability/need question the mac-and-cheese waste embodied. She didn’t have the programming know-how to develop it—yet. Then she met Grant Nelson, a law student who was also a code whiz. Staffed almost entirely by high school and college students, MEANS has helped redistribute more than 1.8 million pounds of food since 2015. (To give some context, that’s the combined weight of approximately 45 blue whales.) If sometimes the donations have been unusual—MEANS has accepted everything from 50 pounds of squab from a five-star restaurant in Seattle to 250 pounds of rutabagas—the nonprofit usually finds a home for them. (In the case of the squab? It ended up in pork and beans and was, from what Belding heard, a huge hit.) “We’ll find a home for [the donations] 95% of the time,” she has said. 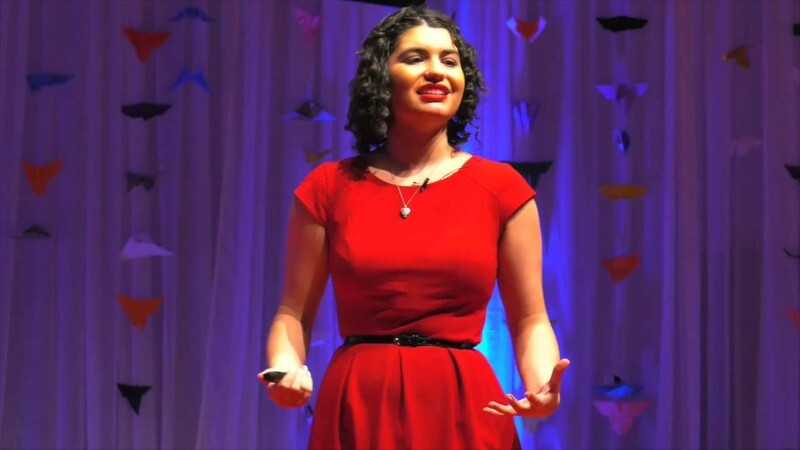 Thumbnail credit: “Food Scarcity | Maria Rose Belding | TEDxAmericanUniversity” by TEDx Talks via YouTube.